Home / airindia / Air India happy to lose genuine customers than let a bot query! Air India happy to lose genuine customers than let a bot query! 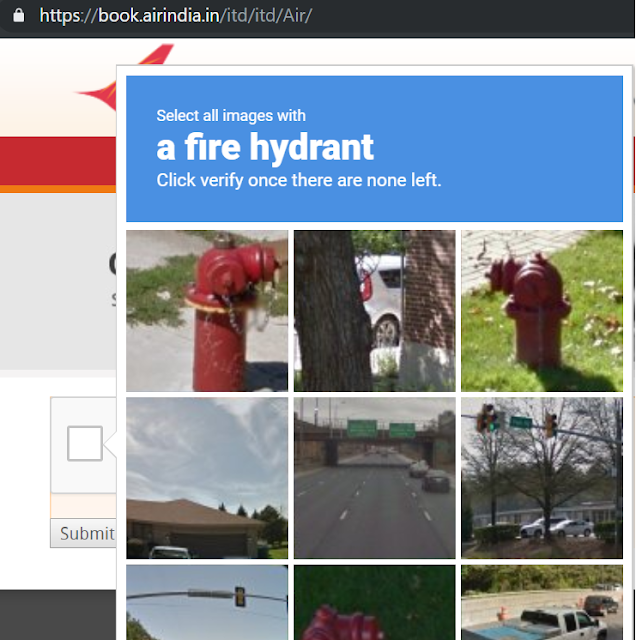 India's National Carrier Air India is more worried about some bots or computers making booking inquiry on their website (and taking up server resources) than genuine customers walking away irritated by its captcha and "prove that you're not a robot" validations. Air India is the only airline website that harasses prospective customers till the breaking point, so that most of them will give up and go elsewhere, than spend all their time, energy and effort to prove to Air India website that they are humans and not bots. 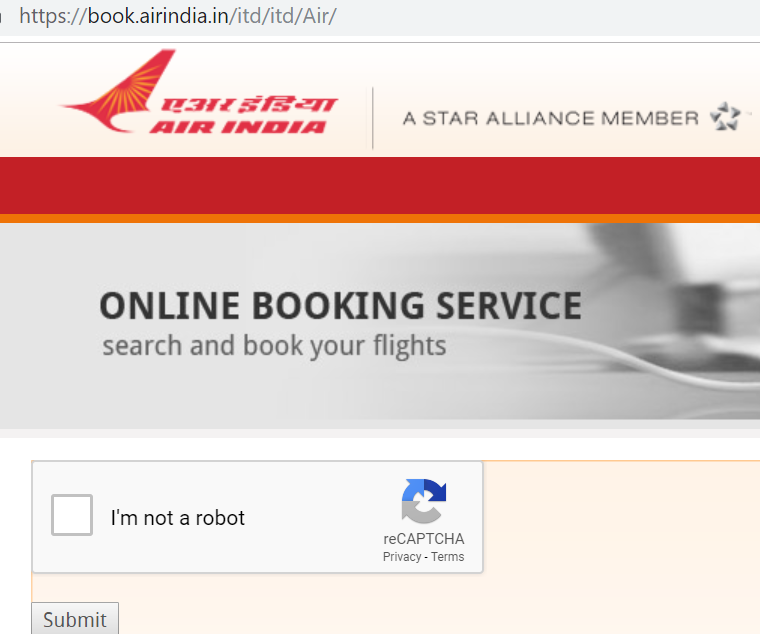 If you click on "Book a flight" on Air India website, first you've to prove that you're not a robot. If you try opening it in Incognito mode, website gets even more suspicious and throws a dozen challenges to you, to select cars in the picture, traffic lights in the picture and so on. At some point you might be able to convince the system to let you proceed, but in most cases you're likely to close the window and open makemytrip or some other airline website. No other airline website has this problem. They all let you check the fares without any issues. Air India has some good fares- to Andaman, to Kathmandu and so on, where Air India fares are cheaper than competition. Air India doesn't charge extra convenience fee, meals and baggage are included, seat selection is free (back of the plane)- so there're still some good reasons to chose Air India over other airlines in some scenario. Making booking experience complicated for those interested is just not good for Air India's own interest. When MMT, Cleartrips of the world can handle millions of queries and transactions, what is bothering Air India? Why they are so hell bent on making a customer go through a super complicated process? Aren't there a better way to secure the website against DDOS? As such people hate Air India and avoid it- even those who care a bit, try to enquire/book are discouraged this way. Hope people at Air India take note and act.